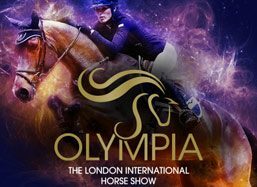 Tickets and hotel accommodation, for our world-famous 2018 Olympia International Horse Show Packages and breaks are selling fast – so book soon! Our packages include all your favourite events from extreme driving to the Christmas Finale – but they change everyday, so make sure you have the ticket for the events you really want to see! 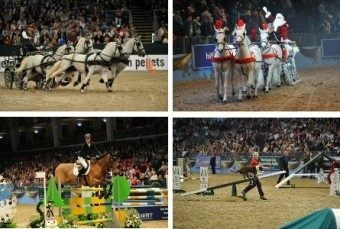 Our breaks for the 2018 Olympia Horse Show are available for performances from Monday 17 to Sunday 23 December and, as you will see from below, the mix of popular events and competitions is still there. Don’t miss out on the chance to witness the amazing dressage competitions early in the week with our two night, Double Dressage Packages Monday to Wednesday – Book Now for the fantastic international event includes the Reem Acra FEI World Cup ™ Dressage competitions. After the tension of the dressage competitions, Olympia goes into full out with adreneline fuelled excitement! Our Horse Show packages between 19th – 23rd December feature the excitement of the Shetland Pony Grand National, The Kennel Club dogs, extreme driving, the Snowman Stakes and the Christmas Puisance. Not to mention a visit by the man himself! The International show jumping and dressage competitions, both with World Cup ™ Qualifiers, will be as important events as ever in the equine calender. Back again is Extreme Driving – which is now an FEI World Cup ™ Qualifier. Back again too will be old favourites including the Shetland Pony Grand National, the Kennel Club Dog Agility and of course the Christmas Finale. To make the most of your day at the Olympia Horse Show and spend as much time exploring the fantastic Shopping Village, with over 200 shops to browse (the perfect place to look for last minute Christmas Gifts to mementos of your day at the event), the hotel stay for Matinee Packages is booked for the night BEFORE your visit to the International Horse Show, whereas for Evening Packages, the hotel stay is booked for the night AFTER your visit to the International Horse Show. The Grand Hall Doors open at 9.00am and the Shopping Village opens at 10.00am. This year we have changed our packages slightly. Instead of offering accommodation at a particular hotel we are letting you choose form our whole range of hotels – last I checked that is over 80 hotels including two star, three star, four star and even five star central and greater London hotels.